The Purpose-Driven CFO and Much More! 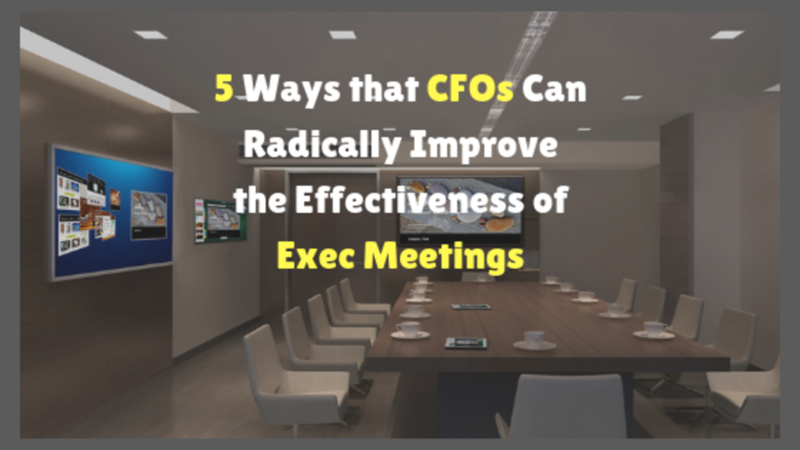 What’s driving the trajectory of the CFO role? Let’s talk about how and why the role of the CFO has changed over the last 30 years, and why that puts Finance in a critical position within the business. You know, ever since I qualified as an accountant in 1995, I’ve noticed magazine articles, courses, seminars, books, all talking about the changing role of the CFO (or Finance Director as we used to call it). And I’ve always been a bit cynical. I didn’t really know what it was all about until I sat and thought about it recently. You see, I think there’s a misunderstanding in the media, even in the financial press, about what is driving any changes in role, if there are any. I no longer set New Year’s resolutions. I think it is far better to set intentions. If we follow the latest developments in neuroscience, we can rest assured that our brain, if used correctly, can be a very powerful tool. Although, we currently only use a fraction of its capability and get caught up in the noise of our self-doubts, limiting beliefs and repeat dialogues. 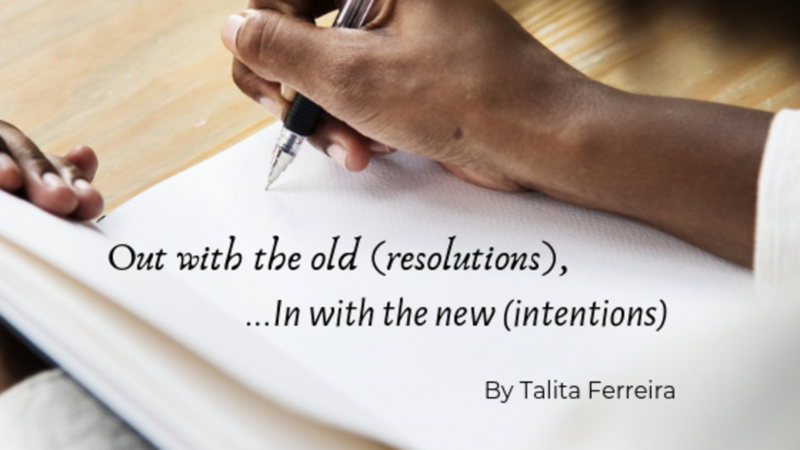 Setting an intention is key to bringing about a change or a desired state or goal. The various synonyms for intention are purpose, aim or plan. Setting intentions can play a key role in activating our subconscious mind to help bring about a goal or desired result. The word ‘intent’ originated from the Latin word ‘intendere’, which means to stretch towards. During my career, I’ve sometimes worked at the top level in Finance, and had the privilege of sitting alongside other functional heads in the “Senior Management Team” or “The Exec”, or even “The Board of Directors”. Obviously one of the chief ways we stayed in touch with each other, and with what was going on, was to have “Management Meetings” on a regular basis. Normally, the main meeting would be once a month, centred around the management accounts. And sometimes we would also have weekly, less formal meetings. When you’re more junior, you see the FD or the CFO going off to these meetings. And you have a picture in your mind of what goes on. You picture high powered discussions, with quality arguments and analysis, talking strategy and making sensible decisions. To be successful the future CFO will need to be all about mindsets and methodologies. My presentation at the AICPA-CIMA Finance Transformation conference in London this year would have been entitled, “the DNA of the future CFO”. And since I now can't do the talk because I'm having cancer treatment, I'm letting you know my basic thesis, right here! But am I out of step?! I mean, surely the future CFO is going to be all about digital technology, automation and predictive analytics? Well the Finance Transformation conference is hearing plenty of perspectives on all those things from people more qualified than me! So, here’s what I mean by mindsets and methodologies. 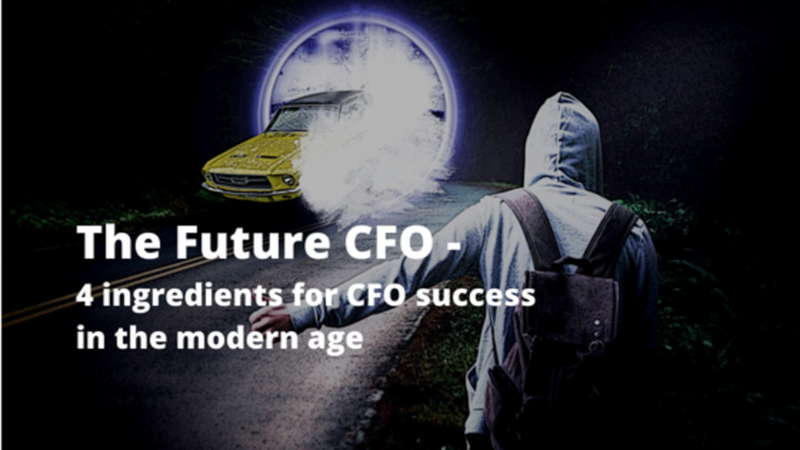 Four essential ingredients for being a successful CFO in the future. Four parts to the DNA of the future CFO. So you want to be a CFO? 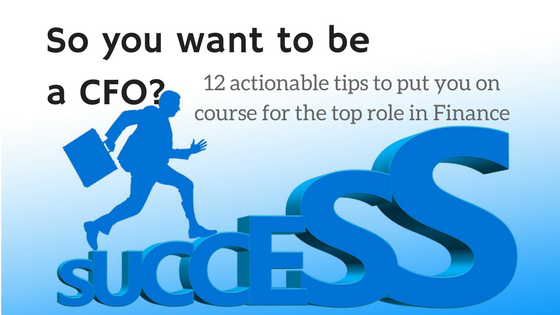 – 12 actionable tips to plot a course to the top role in Finance! These are the kind of questions I get from people from time to time. They probably ask me because of the breadth and length of my experience. So, I thought I’d write something that gives a few pointers around how I would answer those questions. [BONUS: I've created a free workbook to help you come up with your action plan from these tips. It's called the CFO Career Action Plan Workbook. I’ve seen several career-minded people fail because they spent so much time and energy thinking of plotting their career that they didn’t do a good job. And that’s a shame. The title of this article may sound strange in an age where Finance business partnering is one of the megatrends in Finance. But bear with me. 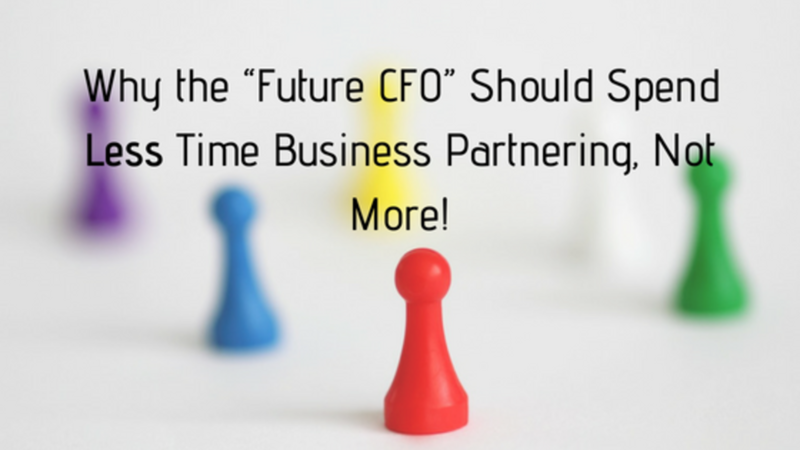 There’s a good reason why I’m going to argue that “the future CFO” should do less business partnering, and not more. I’m going to start by arguing that, contrary to popular belief, the CFO’s role has already changed such that they are now seen as THE Finance Business Partner. There’s no need to berate them any more for being mere beancounters and scorekeepers. As a generalisation, especially in medium to large enterprises, most CFOs are seen as the CEO’s right hand, and it’s those two roles together that face the business owners. Want to be a CFO one day? 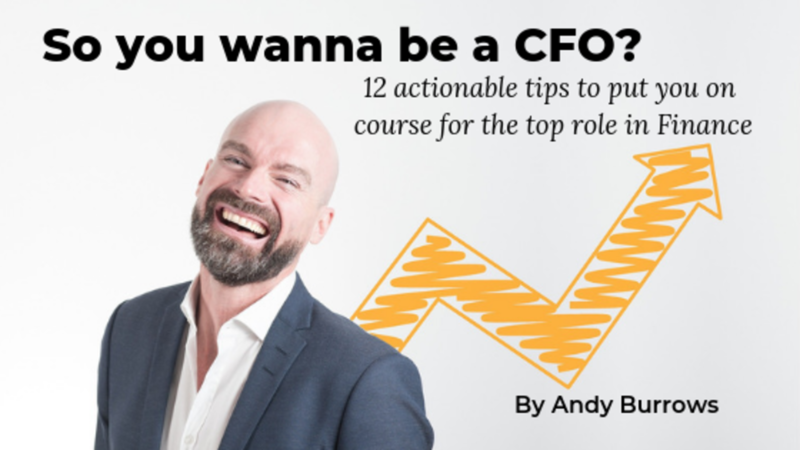 If you want to be a CFO one day, take a look at this popular article by Andy Burrows, giving 12 actionable tips to set you in the right direction. AND download a free workbook to help you use what you learn to build yourself a simple career action plan. All forecasts are wrong - so what? 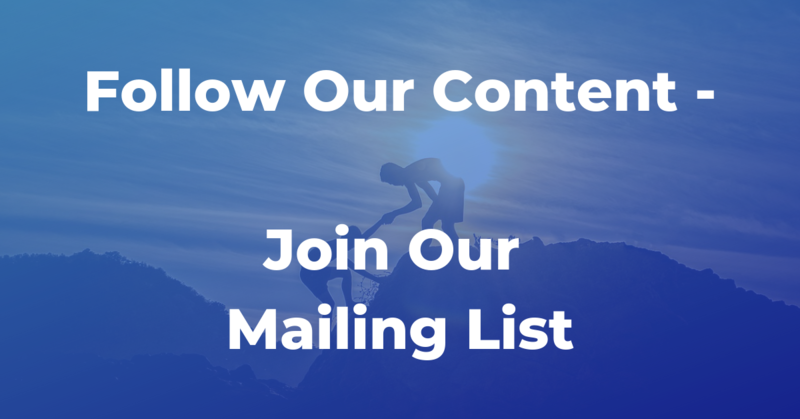 For regular emails containing tips and advice on working in Finance in business, as well as notification of new material from Supercharged Finance, just fill in your details and click the button below!